There are some great anger stories on this site, and here is your chance to see some of the best ones in one place! Let this inspire you! The more you contribute, the more you receive. 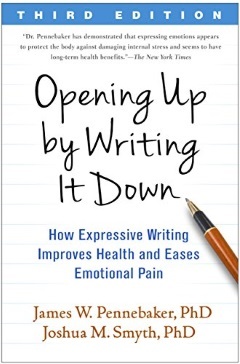 Research by Dr. James Pennebaker of the University of Texas in Austin has shown that writing your story can be very healing, emotionally and even physically. Try it, and see if you don't feel better as a result. Free and easy mental and emotional health benefits--that's the value you get from simply writing your story or asking your question. You can do this, and when you do, you will discover the ability you have to help yourself simply by telling your story. Focus on your feelings. Don't hold back in giving full expression to your deepest and strongest emotions. Write this for yourself only. That way you don't have to worry about how anybody else might react. If you choose to share it with someone later, that's another matter, but for now just do it for yourself. Don't try to be fair or kind to others while you're writing, as that will only water down your emotions and keep you from getting the full release you're looking for. If you feel a need to write about others involved, you can do that separately. Write until you feel you have told the whole story. You'll know when you're done when you just run out of things to say. There's quite a bit more to this, which you can explore by reading Opening Up: The Healing Power Of Expressing Emotions by Dr. James Pennebaker. Now, it's time for us to see your anger stories. Just fill out the form below, and you'll be on your way! Not ready to submit your own story or question yet? No problem...just get started reading the stories by other good folks like you who want to get better at managing their anger. Why should you decide to tell your story here? Because you are your own best anger management resource! Interested in more? Learn about the stories you tell yourself that might arouse your anger. Where Does The Anger Start?